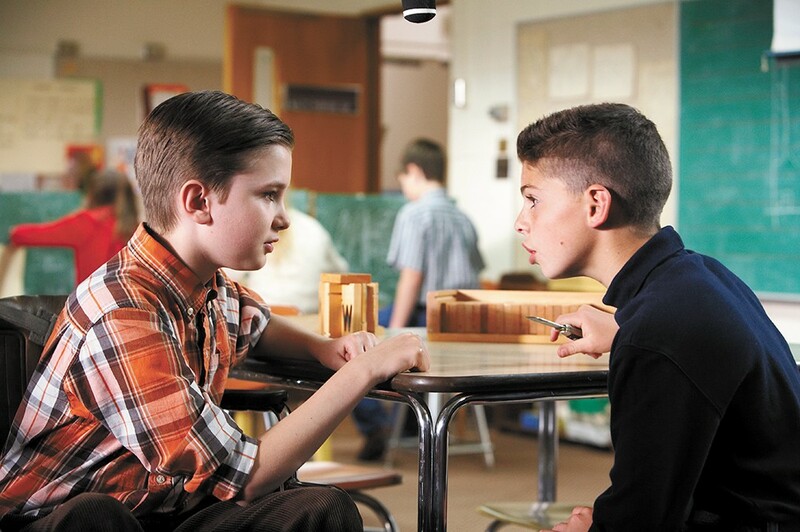 Spokane's own Brayden Tucker (right) makes his film debut in this locally made movie. It can take a long time for anyone to make a movie. For Spokane's Don Caron and Lyle Hatcher, it took a really long time. It's been almost a decade since Hatcher walked into the North by Northwest offices in 2004 to record an audio track of a few stories from his boyhood. After Hatcher had laid down anecdotes about his childhood best friend, a wheelchair-bound kid named David to whom Hatcher tried to transfer some of his excess energy, Caron thought he'd found a great movie idea. The two set about making that movie, Different Drummers, and it debuts this weekend in downtown Spokane. "It's one of those stories that has an original element to it, and when you're looking for a story, that's what you're looking for," says Caron, who has spent several years since meeting Hatcher working nearly full time on the film. To help make the film a reality, Caron sold his house and eventually drained his retirement funds, only to see the project nearly stall out a few years ago. Eventually, though, he and Hatcher, a successful investment broker, were able to take their script — which they turned into a book to help lure investors — and attract more than a million dollars in funding. All of that, like much of the film's other resources, came from Spokane. The film itself takes place in Spokane back in 1965 and recreates a landscape and style longtime residents will undoubtedly find nostalgic. But it wasn't just the cars and clothes that Caron and Hatcher (who both serve as the film's co-writers and co-directors), were able to find in Spokane. They also found one of their principal actors, Brayden Tucker, a Spokane kid who'd never acted in a film yet masterfully took on the role of the young Hatcher. He plays opposite another young star, Ethan Reed McKay, a Portland native who plays Hatcher's best friend David Dahlke, bound to a wheelchair with muscular dystrophy. For Hatcher, the film is obviously quite personal, given that it portrays his youth. Although Caron initially was reluctant to follow his partner's desire to shoot many of the scenes where they actually occurred, to portray the same time period and use the actual names of his childhood friends and teachers, Caron now thinks the choice has added extra weight to the film. "[Hatcher] had an instinctual understanding of the power of this story. There were times when a power was lent to the film by using the actual location where it happened," says Caron, who also composed the film's score. They even shot at David's childhood home, where his elderly mother still lives. Gloria Dahlke let them shoot in her house and the pool in her backyard. "At the age of 92, Gloria was watching these reenactments from her son's life. There was magic that was happening," says Caron. Almost 50 years after these events happened and 10 since it was decided they should be made into a movie, Hatcher and Caron are debuting the film this weekend at the AMC theater in River Park Square, where it will run for at least a week. They have other distribution deals in the works, including possibilities of a wider theatrical run in other cities. For Caron, the story of making the movie has become almost as dynamic as the story his film tells. Different Drummers opens on Fri, Jan. 10 at AMC River Park Square 20 and runs for at least a week. Different Drummers is not showing in any theaters in the area.